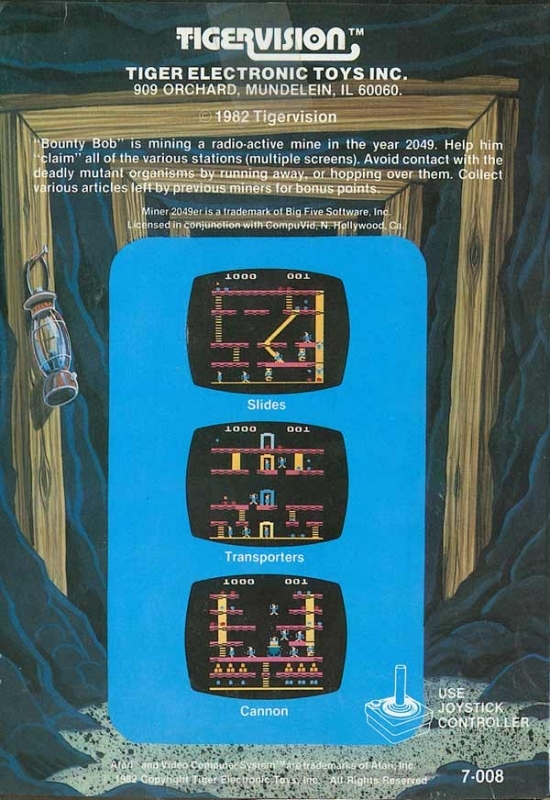 "Bounty Bob" is mining a radioactive mine in the year 2049. Help him "claim" all of the various stations (multiple screens). Avoid contact with the deadly mutant organisms by running away, or hopping over them. Collect various articles left by previous miners for bonus points.